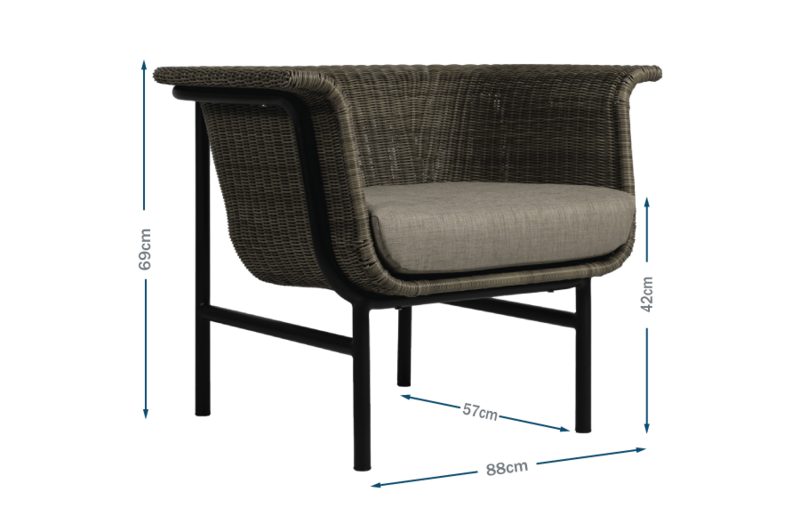 The Wicked series was designed by Alain Gilles for renowned Belgian outdoor furniture specialist, Vincent Sheppard. Chic lines and a refined colour palette is effortlessly combined with durability in this collection: the Wicked Lounge Chair is made from a handwoven polyethylene wicker, minimalist aluminium frame - and finished with a Taupe seat cushion. The result is an elegant yet industrial form that's easily maintainable in any outdoor setting. Pairs beautifully with other Wicked Lounge Chairs, arranged around a Leo or Mateo table. A truly eye-catching addition to any outdoor lounge area.